A man who was convicted of trafficking in goods with counterfeit trademarks was sentenced in U.S. District Court in Sacramento yesterday. Xavier L. Johnson, 37, of Sacramento, was sentenced by U.S. District Judge Garland E. Burrell Jr. to two years and six months in prison and three years of supervised release for trafficking in goods bearing counterfeit trademarks. 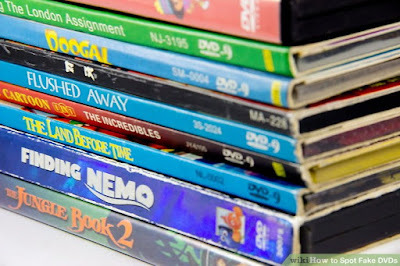 Evidence introduced in the trial showed that from 2008 to 2011, Johnson and co-defendant Kristin Caldwell imported DVDs from China that contained counterfeit versions of children’s movies. They advertised and sold those DVDs throughout the United States using websites on which they claimed that they had obtained limited quantities of the movies. Kristin M. Caldwell, 35, of Sacramento, was sentenced by Judge Burrell on August 4, 2017, and was ordered to spend six months on home confinement as a condition of probation. William L. Brown, of Sacramento, pleaded guilty on May 5, 2017 to aiding and abetting criminal copyright infringement. He is scheduled to be sentenced on January 19, 2018. No Comment to " Sacramento Man Sentenced For Criminal Trademark Infringement "